Seventh Sense Biosystems Inc. (7SBio) announced that a new blood collection device called TAP has received U.S. Food and Drug Administration 510(k) clearance. The technology represents a landmark innovation in the blood collection industry where one billion blood draws are performed each year for diagnostic testing. 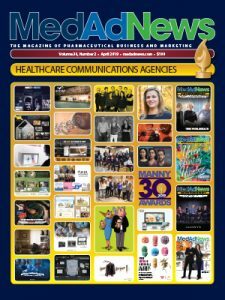 HealthSTAR Communications announced the launch of HealthSTAR Fusion Group, an important new addition to its strategic network of companies. The U.S. Supreme Court cleared a subsidiary of biotech company Thermo Fisher Scientific Inc. of infringing a genetic-testing kit patent held by Promega Corp.
Philips announced the introduction of a new platform for image guided therapy that enables doctors to combine the use of several medical scanners, imaging data and large screen displays as they perform minimally invasive surgeries. CVS Health Corp. said its pharmacy chain had removed artificial trans fats, which have been linked to rising rates of heart diseases, from its store-branded food products well ahead of a June 2018 federal deadline. Ocular Therapeutix’s NDA resubmission for DEXTENZA 0.4 mg for ocular pain occurring after ophthalmic surgery was accepted as a filing for review by FDA. Lexington, Mass.-based Agenus quietly filed with the U.S. Securities and Exchange Commission (SEC) that it was halting the company’s clinical trial of its cancer vaccine Prophage. Chief executive officers from more 16 large manufacturing companies – including pharma leaders from Celgene, Dow Chemical, Eli Lilly, Merck and Pfizer – penned a letter to Congressional leaders in support of a Republican-backed tax reform plan. Hours after Bristol-Myers Squibb announced a $2 billion stock buyback plan, billionaire investor Carl Icahn snapped up a “large stake” of BMS stock, which sent shares soaring.